Challenge: Written for femslash100/ femslash100's prompts 612: Industrious. 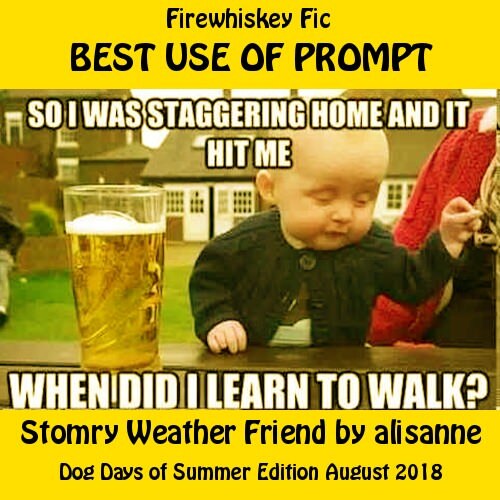 I just realized I forgot to repost my Firewhiskyfic. Oops. I even won "Best Use of Prompt" for it. See? You should know, all I've done is clean up the header, the rest is as it was on that night. Enjoy, LOL. I am of legal drinking age in my region: Yas! Summary: Er, Ginny has a crisis and Luna …helps? I hate these damn things. Author's Notes (if any): I did it! I haven’t written anything in days so this was a nice way to return! Challenge: Written for femslash100/ femslash100's prompts 601 - 609: Emergency, Savory, E-mail, Picnic, Proud, Independent, Teddy bear, Health, and Parents. Challenge: Written for femslash100/ femslash100's prompt 609: Parents, and for mixandmatch100/ mixandmatch100's prompt # 41: Excursion. Summary: Excursions with Luna are never dull. Characters/pairings: Hermione Granger/Pansy Parkinson, Harry Potter/Ron Weasley (background). Challenge: Written for femslash100/ femslash100's prompt 608: Health. Summary: Pansy jumps to some unhealthy conclusions. Characters/pairings: Hermione Granger/Millicent Bulstrode, Harry Potter/Severus Snape (background). Challenge: Written for femslash100/ femslash100's prompt 607: Teddy Bear. Summary: Hermione can't sleep and her daughter comes up with the perfect solution. Warning: Character death (off screen). Challenge: Written for femslash100/ femslash100's prompt 606: Independent. Summary: Ginny agrees to do Fleur a favour. Turns out, Ginny's the one who benefits. Challenge: Written for femslash100/ femslash100's prompt 605: Proud. Challenge: Written for femslash100/ femslash100's prompt 604: Picnic. Challenge: Written for femslash100/ femslash100's prompt 603: E-mail. Challenge: Written for femslash100/ femslash100's prompt 602: Savory. Characters/pairings: Pansy Parkinson/Ginny Weasley, Harry Potter/Draco Malfoy (implied). Challenge: Written for femslash100/ femslash100's prompt 601: Emergency. Challenge: Written for femslash100/ femslash100's prompts 591: bridge, 592: purpose, 593: joke, 594: freeze, and 595: fever. Challenge: Written for femslash100/ femslash100's prompt # 599: Breakfast. Challenge: Written for femslash100/ femslash100's prompt # 598: Spice. Summary: Not even a storm can stop Luna's appreciation of nature. Summary: Poppy gets some excitement added to her life. Challenge: Written for femslash100/ femslash100's prompt # 597: Mourn. Authors Notes: Hermione mourns in the only way she knows how.